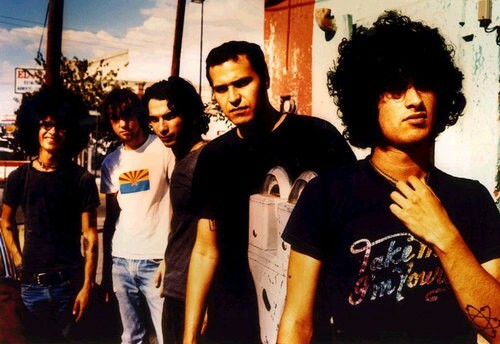 If you have Twitter or Facebook friends who were At the Drive-In fans, I'm sure you've already heard about this many times over: the wildly popular posthardcore band officially announced a reunion today. Over the course of the past decade, these dudes from El Paso have gone on to a number of projects, including the Mars Volta, Sparta, Jim Ward's acoustic records, and Omar Rodriguez-Lopez's spaced-out film soundtracks. Whenever I see a band getting back together after more than a decade apart, I can't help but think that this is an easy cash-in, but maybe they're doing it for love of music. Maybe. Here's a video of the band playing on Letterman when what turned out to be their final LP, Relationship of Command, dropped in 2000. When was the last time you saw this much raw punk energy on national television?